I absolutely LOVE all your picks. Those flamingo espadrilles are especially wonderful! Such fun pieces! There are so many good deals! What a pretty round-up! I love them all! WOW! Thank you so much for this round-up, it looks very time consuming and with a college graduation and finals and all of that. I am impressed! Great picks! What an amazing roundup. I love all the stuff you picked and you can't beat a great sale especially on clothes. I need to check some out and see if there is anything I should get my hands on. I love these colors!!! Perfect for summer!!! Great picks and Great post!!! 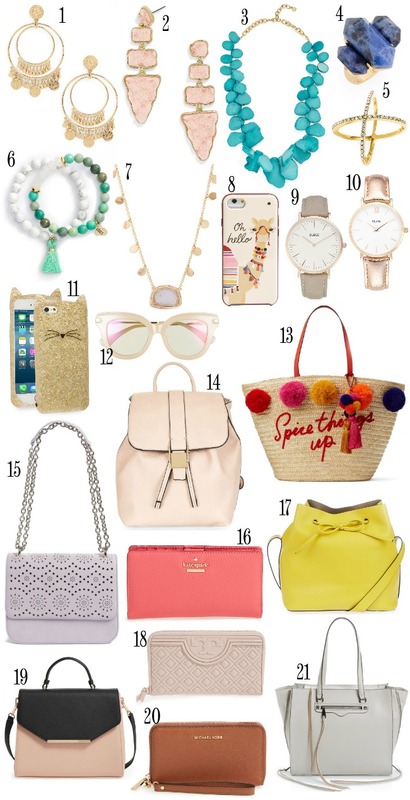 So many amazing summer pieces! I def need to shop some of those shoes! I am need of some cheap summer shoes! I love all the ruffled accents on the tops! So cute. OMG stop I want all of this! That blue lace OTS dress on the 4th row is calling my name! wow, awesome roundup of items-- loving all your picks! I'm loving all the cold shoulder / off the shoulder tops and dresses this season! I always look forward to summer because it means Nordstrom Half-Yearly + Nordstrom Pre-Season sales. I think I'm going to buy those adorable flamingo espadrilles! I cannot resist a Nordstrom sale, you have so many great pieces. I definitely want to pick up a few dresses and rompers. Wow! This is an amazing roundup! I love all of the things you've chosen! So many amazing picks here!! There are so many things I want!! I'm in love with everything here!! It's so hard to pick those essentials when everything looks like it hahahaha. I love that you did your picks based on such a reasonable budget! Nordstrom can be tricky for that especially with fashion bloggers, but their quality is so good and I do love to try and shop good quality! Thanks for this!! I am loving your picks and how you have it all broken down! This sale is so good! SO many great picks! I want every dress haha. This sale is going to get me in trouble! I want everything! Love those dresses!! It's always so hard not to shop when this sale comes around! I love all your pics! Congrats on graduation!! 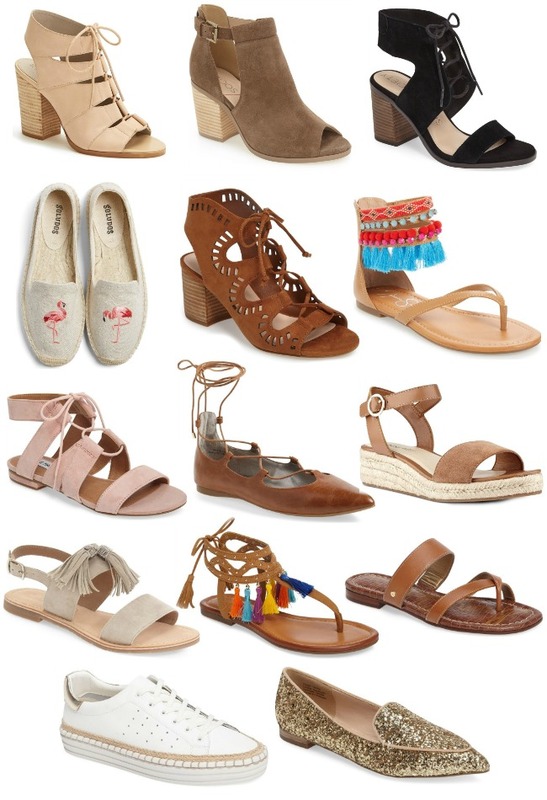 Also, I'm LOVING so many of your picks :) I love the Nordstrom sale! Ahhh loving all those accessories! Those sunglasses are my favorite! Ugh I need it all! It's all so cute. Congrats on graduating girl. Yes! So excited about this sale. Thanks for the great tips and purchase round-up! I'm so excited about the sale!! Thanks for the inspiration girl. I love all of these! Ill definitely be shopping the sale! I am obsessed with almost half of these. I can hear my wallet crying now haha. I needed this post!! This sale is seriously so bomb and I want one of everything!! LOVE this post! I want it all! Love the affordability component! This is an amazing guide, great job rounding everything up! There are SO many great summer dresses in the sale! I love your picks! Some of these pieces are on my wishlist too! I love that short black romper with all of the embellishment. 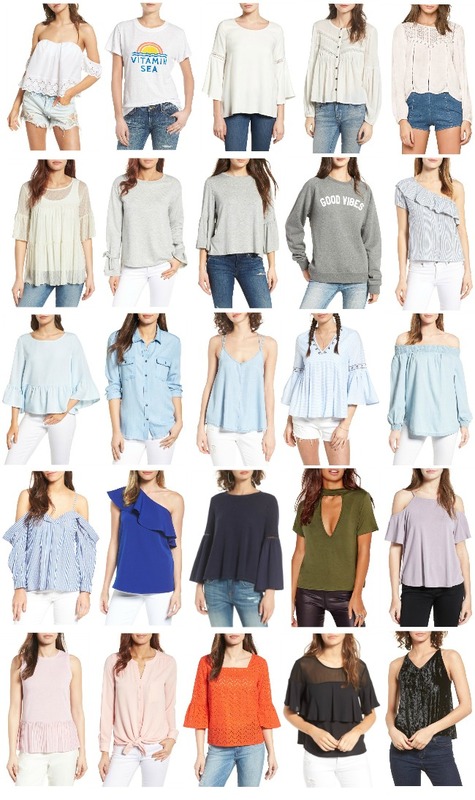 I love Nordstrom because I can find pretty much anything I need under $100, so when those items go on sale, it's hard for me not to purchase them all! So many great picks! Love this sale! Such a great shopping list! Thanks for sharing!! SO. MUCH. GOOD. Love all your picks! OMG! You made this so much easier! This is such an amazing guide! LOVE all of your picks! This just made me want to shop! I love your picks!